Charter Buses, Shuttles, Sedans, and SUV Transportation for the Holiday! Brightly colored presents wrapped with a bow, twinkling lights, and the crisp, piney reminder that the holiday season has once again returned. Thanksgiving, Hanukkah, Kwanza, Christmas, & New Year’s. The holiday season is a whirlwind of all-around good cheer, and everyone has their own special way of celebrating. Sparkling balls, glimmering galas, and melodic recitals. The twinkling laugh of children and the kiss of glass raised in toast. As we head into the 2018 holiday season, Sam’s Limousine is fully prepared to handle a whole host of transportation needs this winter. From Charter Buses in Houston to Private Sedans for Hire, Sam’s Limousine has you covered. No need to worry about tricky parking or holiday traffic. A professional and uniformed driver can leave quite an impression upon visiting family or VIP guests, and Sam’s Limousine will safely and promptly deliver you directly to your destination. We have a full fleet of pristine vehicles tailored to your specific event, no matter the occasion or formality. Our sedans, black car service, executive vans, and shuttles are perfectly suited for corporate needs, while our charter and party buses amplify the party for all your social needs and events. Accommodating up to 56 guests (and their luggage) in passenger capacity with our Charter Buses for rent, Sam’s Limousine has a number of options to suit any guest and any event! Safe and convenient, our charter limo service in Houston to transport your most treasured guests to and from all of your special holiday events! Our cars and buses are immaculately maintained and professionally serviced to ensure top performance at all times, despite winter’s very best efforts to break through the Houston heat! 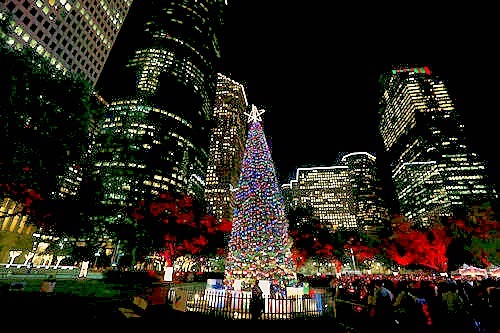 There’s nothing like Houston during the holidays. Sam’s Limousine offer an amazing fleet of vehicles for all of your upcoming holiday plans! Local hotels The Houstonian, The Hilton Americas-Houston, and Hotel Galvez & Spa all offer special holiday features and events, in addition to incredible seasonal décor. Take in the sights with an artisan cocktail at Anvil Bar and Refuge or treat your group to a tequila tasting at The Pastry War. Needing something a little more substantial? Dine on Brennan’s decadent Osso Bucco, join Coppa Osteria for their Feast of the Seven Fishes, or indulge in apple and Barolo glazed porchetta at Radio Milano. There are many local holiday markets and craft fairs throughout the season as well! Swing by the 14th Annual Heights Holiday Market or Kingwood’s Koutour Holiday Market on December 8th to find that one-of-a-kind, custom gift for everyone on your list. 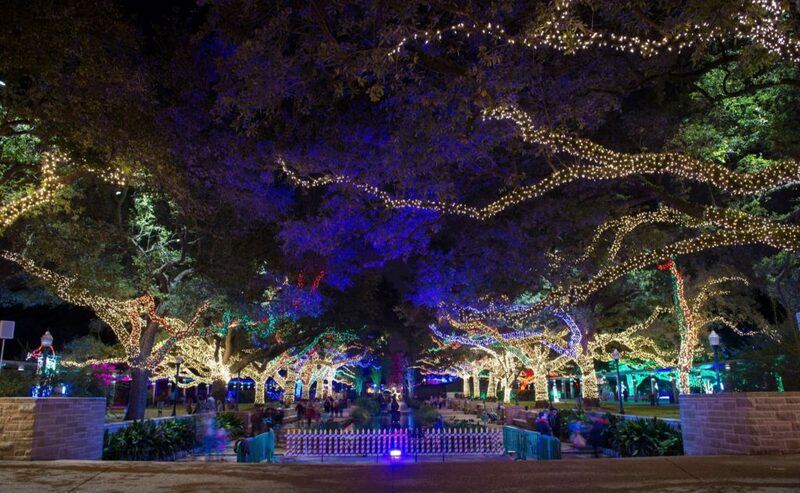 For a full list of holiday events, visit our friends at Visit Houston! And don’t forget Galveston’s Santa Hustle 5K & Half Marathon on December 16th! This holiday season, Sam’s Limousine will be your trusted partner in making all of your holiday dreams come true. long after all the candles have burned out. Review our Fleet and Book Your Perfect Holiday Transportation!